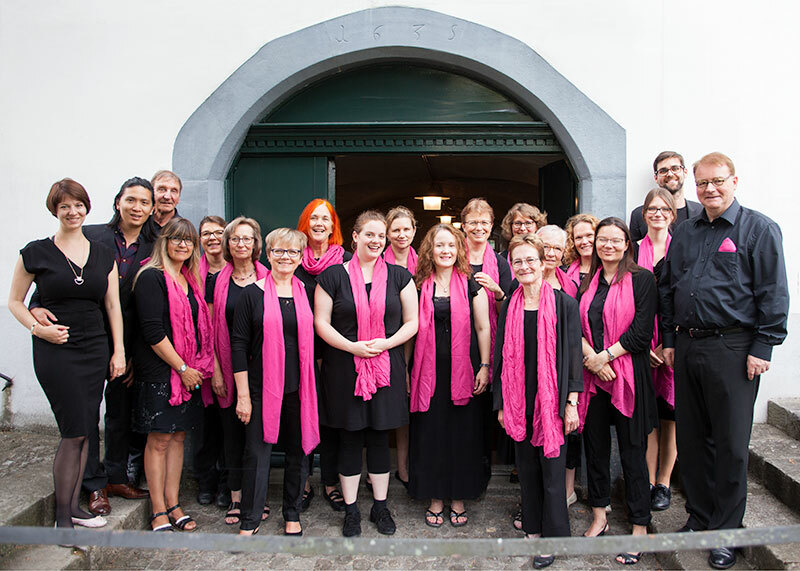 Many people experience singing in a choir as a „wonderful feeling“. The common joy of singing turns into a sense of community – to stop being „me“ for a little while and to become „us“. The Gospel Choir is open to anyone who longs to sing, with or without choral experience. We are a diverse group of singers from novice to old hand. You can drop in to a rehearsal, without commitment, at any time. Just give it a go! You can join the permanent choir or you can participate in a single project or workshop – always under professional direction. Feel free to bring a friend and come find out what it’s like to sing in our choir. For more information or if you would like to register for a rehearsal please contact Gabriela Leuthold: 044 920 60 38, gospelchor@kantorei-meilen.ch. Our weekly rehearsal is Thursday nights from 7:45–9:15 pm. In summer, rehearsals are held in the church, Reformierte Kirche in Meilen, and during the winter months we rehearse in the Kirchenzentrum Leue, directly across from the church (excluded are the Meilen school holidays). Several times a year we sing in a so called “Musikgottesdienst”, a church service with music, either in the Reformed Church in Meilen or in the ancient “Baukeller”, the basement of an old building just down the street from the church. Also, our projects and workshops are carried out in the church, such as the workshop & church service with music at the “Musig am Zürisee” festival and our Christmas events, the „Open Advent Carols“ and the „Gospel Christmas“. In the autumn we sing a serenade at the retirement home Parkresidenz Tertianum in Meilen. On every second Thursday of the month, after the rehearsal, anyone who feels like it goes for a drink together to chat about this and that – in the Gasthof Löwen which is in the same building as the Kirchenzentrum, right across from the church. If you would like to sing with us on a regular basis we ask you to pay the yearly membership fee of CHF 200 /couples CHF 300. As a courtesy, please notify us if you decide to stop coming to rehearsals or discontinue your membership in the choir. 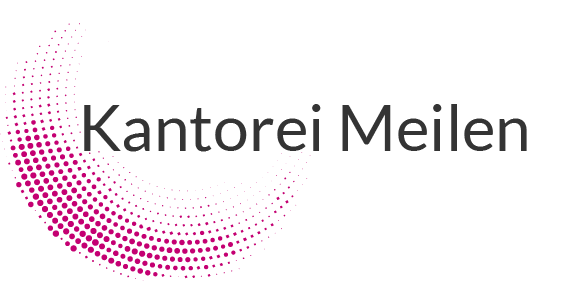 If you would like to support us financially: Kantorei Meilen, 8706 Meilen, IBAN CH80 0900 0000 6146 3338 6, Post Kto 61-463338-6 | Thank you very much!